March, 2010-This side event was hosted by the U.S. Federation for Middle East Peace (“USFMEP”) and co-sponsored by the Association Nationale AL HIDN, Morocco. The discussion, moderated by President of USFMEP, Mrs. Sally Kader, explored the importance of the concept of shared responsibility within the family as it relates to cultures across the world. The panel analyzed how economic and social insecurity within the family can impact society. Additionally, the panel highlighted the importance of family values in the prevention of the AIDS epidemic in addition to the necessity of providing psychological support for AIDS victims. 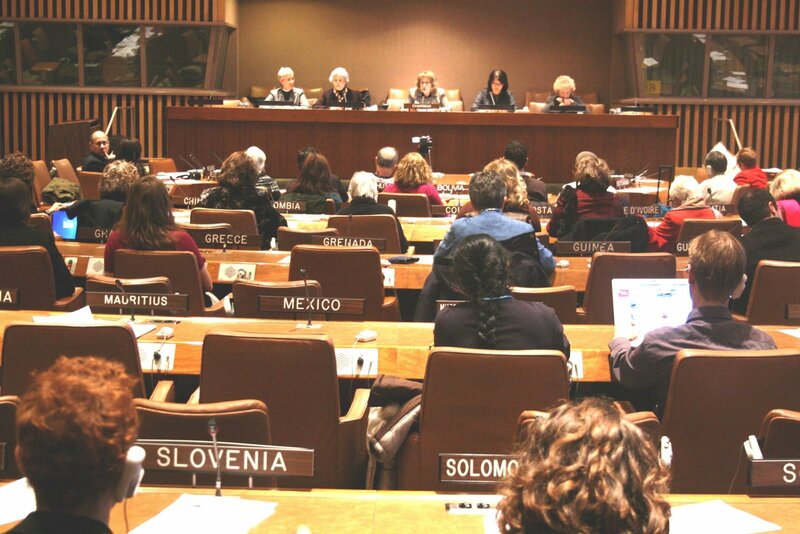 March 3, 2009 - USFMEP hosted this side event in conjunction with UNIFEM Australia. The workshop provided an introduction to gender analysis. Participants considered key gender concepts and a selection of gender analysis frameworks, approaches and tools. 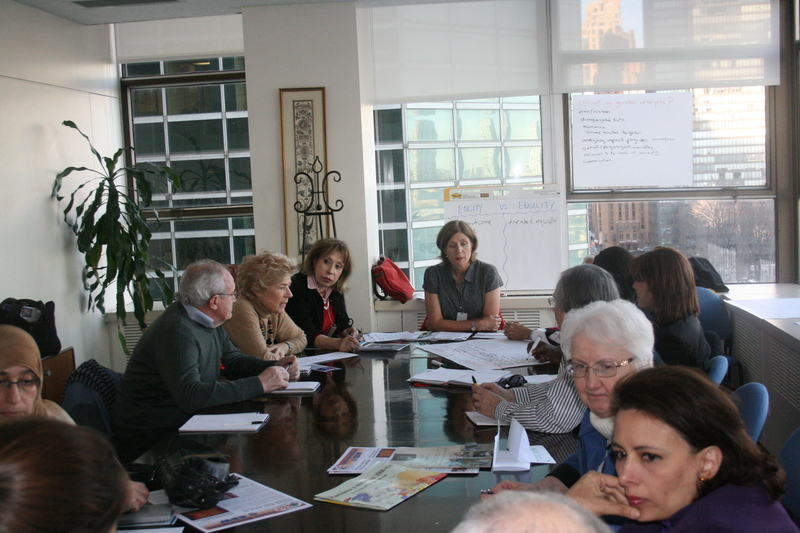 This event was geared toward persuading the nongovernment community to utilize these learned tools and concepts to raise awareness about gender inequity and encourage gender equality through instruments such as the Convention on the Elimination of All Forms of Discrimination against Women (“CEDAW”) and the UN Security Council Resolution 1325. March 12, 2009 - This panel discussion was hosted by USFMEP and the International Council of Jewish Women. 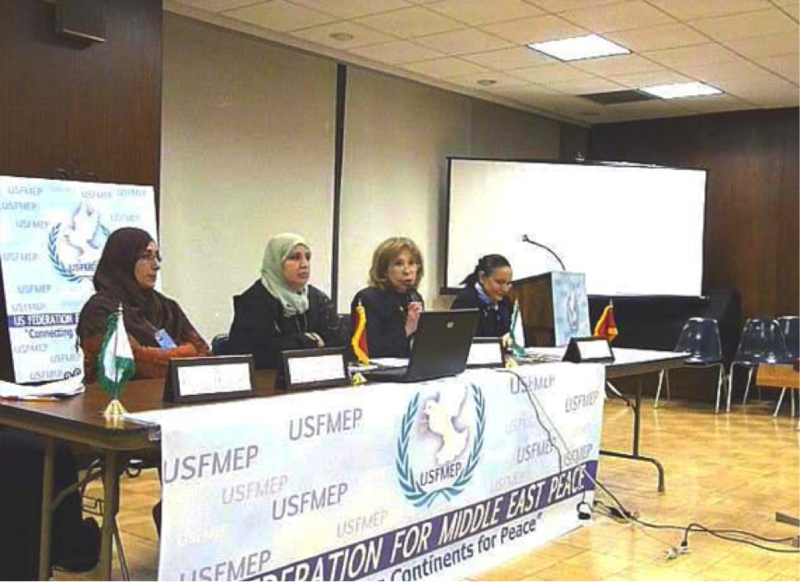 President of USFMEP, Mrs. Sally Kader, moderated the dialogue. The panel brought together Muslim, Christian and Jewish women who share the vision of understanding, tolerance and peace. The speakers focused on the commonalities between the religions including the values of coexistence and respect. A world that is free of religious violence must start with a compassionate interchange between people of various faiths where similarities are emphasized and bridges of acceptance are built.